STEP 2: Part the rest of your hair into two sections and then tie the two sections together into a knot (just like you would as if you were doing the first step in tying your shoe laces). STEP 3: Continue to repeat knotting your hair until you've reached the ends. 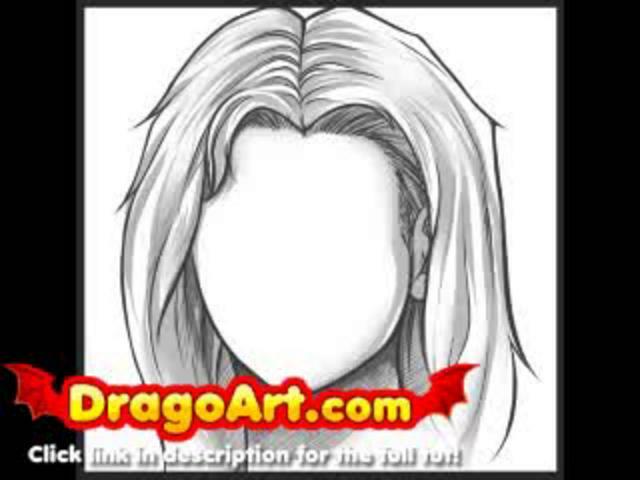 All that is left to do is to draw the contours of the face, add Nose and mouth, as well as the hair and eyebrows. You can leave the eyes black or color them in with blue or green markers. You can leave the eyes black or color them in with blue or green markers. Step 7: Take down the top section of hair and secure it into a half-up ponytail with a mini hair elastic at about the same spot as the elastic holding the braids together.